This picture in the graphic above is from Youtube, found via Google. 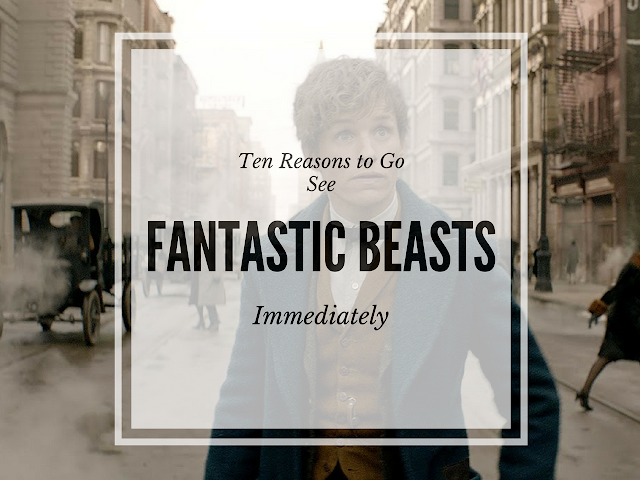 If you weren't sure about going to see Fantastic Beasts and Where to Find Them, the gist of this post is this: do. Go see it! I know a ton of people were unsure about seeing the film because it doesn't have Harry and the gang, or because it's a spin-off, or perhaps because Cursed Child (was not so canon. But this movie is better than that. So, without giving away any major spoilers, here are some things you can expect from Fantastic Beasts (and also, just some of the reasons you should get out there and go see it this weekend!). 1. Mostly adorably precious, but some kind of weird, and some pretty scary, creatures. 2. Humor. This film has tons of laughs in it, especially if you enjoy some references to the Potterverse that we all know and love. 3. A few good plot twists. 4. A canon storyline (in relation to the films). You may see some nonverbal spells(which are super difficult to master) and slight things that would be slightly off in the books, but hey, that's what films are for, right? 5. Hedwig's Theme, and an opening sequence filled with tears (depending on your fangirl/boy status). 6. Obviously, 1920s New York and MACUSA. 7. A pretty equal amount of screen time between muggles (no-majs) and magical folk. 8. A few big-name actors. 9. Some familiar names (mostly just last names in reference to people in relation to characters you already know). 10. 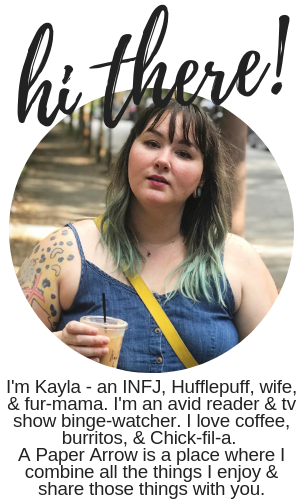 And you get to meet Newt Scamander, who is a wonderful Hufflepuff through and through. He may be one of my favorite Potter characters ever, and I can't wait to get to know him better though the next four Fantastic films (say that five times fast). I will also tell you, there is nothing after the credits, so you don't have to stay all the way through to the end (ya know, unless you just want to). Another odd fact: my theatre was selling MACUSA shirts, so yes, I bought a souvenir from the movie theatre. We saw it in IMAX 3D, which was my first ever IMAX movie, and that was pretty cool, but not necessary. The movie would have been just as great in regular ole 2D. Anyways, make sure to get your ticket this weekend and go see it! It won't disappoint! If and when you see it, let me know what you think in the comments below! I saw it last night and OMG Newt is SOOOO adorable! I just love him so much. My theater had shirts for sale too, I'd never seen that before. Yeah. It was so odd, but hey, they got me. I bought one (and I'm wearing it today!). And I agree. He's so wonderful. He was so perfectly quirky! I really want to see this! I'm glad you hear that you have great things to say about it! Yes, it's so good! I really, really recommend it!